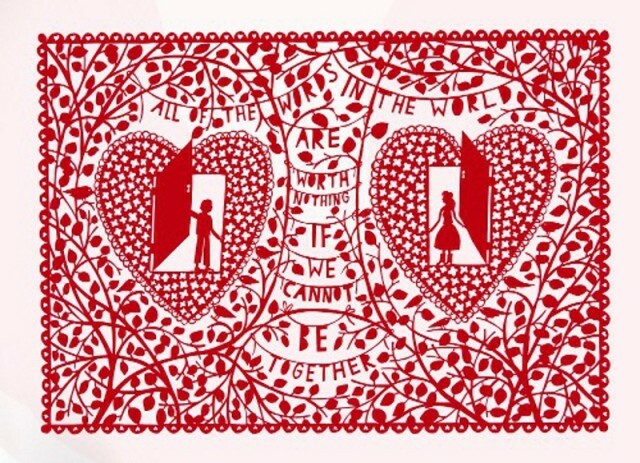 Rob Ryan was born in Cyprus in 1962, He studied Fine Art at Nottingham Trent Polytechnic before going on to an MA in printmaking at the Royal College of Art in London. Recent exhibitions have included a solo show at the Yorkshire Sculpture Park, and ‘Slash’ at the Museum of Art and Design, New York. In addition to his own projects, Rob Ryan has collaborated with and been commissioned to work alongside many prestigious names such as Paul Smith, Tatty Devine, Liberty and more recently Fortnum & Mason.